Writing a memoir about surviving trauma and illness is already an exercise in courage, but when you’re Filipino—with a culture deeply steeped in Catholicism, familial loyalty, and keeping such traumas under the proverbial carpet—the stakes become much greater. 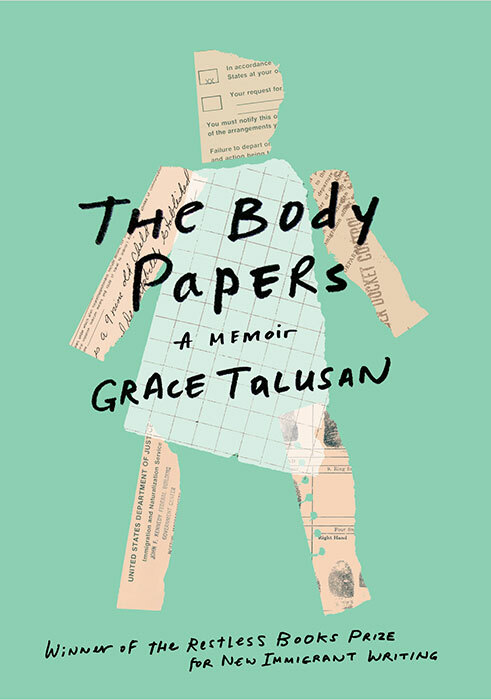 Grace Talusan was prompted to write her debut memoir, The Body Papers, after holding her new-born niece for the first time and experiencing an epiphany that she must tell her story to protect those who come after her, that she must delve into her past and retrace the events in her childhood that informed the rest of her life, confront the lies and years of suppression, and make sense of all the succeeding challenges that stood in her way. In awarding The Body Papers the 2017 Restless Books Prize for New Immigrant Writing, judges Anjali Singh and Ilan Stavans cited Talusan’s skill in “training an unflinching eye on the most delicate and fraught contours of her own life as an immigrant and survivor of trauma and illness.” In eloquent and oftentimes profound prose, Talusan examines her actions and the actions of others around her without self-pity, without assigning blame, and ultimately embraces big-hearted gratitude. And we, the readers, especially Filipino and Filipino-American readers, are equally grateful for Talusan’s gift of prose, of self-examination, of sharing her journey. Most importantly, we are grateful that she has paved the way for others to break the silence and become empowered through the written word. There are multiple narratives that run through The Body Papers—sexual abuse and its aftershocks in the form of severe bouts of depression and anxiety, discovery of Talusan’s undocumented status, the racism and alienation she endured growing up in America, her family’s devastating history of breast and ovarian cancer and the menace and burden of being a BRCA1 gene carrier, and the heartbreaking decision made with her husband, Alonso Nichols, to not bring children into the world. What connects these narratives is Talusan’s desire for truth and understanding. 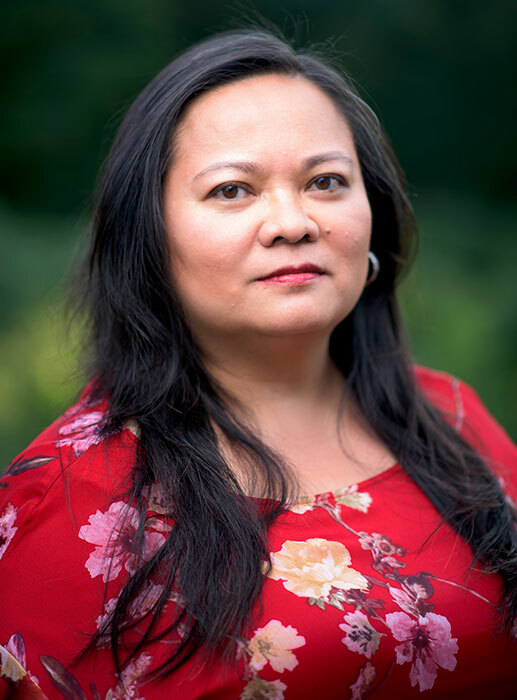 It is through books that Talusan is able to survive (“My library card was a house key to my true home,” she writes) and through telling stories that Talusan finds her voice. Throughout the book, photographs and documents, such as her passport, letter, handmade birthday card, medical test results, create a visual journey—a companion to her prose—through Talusan’s life, from the Philippines to America and back to the Philippines, from childhood to adulthood, from her primary and extended family to her own family of two. As a journey, these photographs and documents connect all the narratives. The Body Papers opens with Talusan returning to her homeland on a Fulbright scholarship forty years after she left the Philippines at the age of two. The homecoming brings mixed emotions: She feels the pull of history and home, and yet, she has been gone long enough to feel like a stranger here. The moment she speaks with her American accent, she is no longer a native. She understandably identifies more with the Americans abroad, even though she has experienced racism—both unintentional and deliberate, and individual and institutional—throughout her life in America. Later in the book, she writes, “In the Philippines, I am an Amerikano, a returner, a balikbayan. I’m here to learn what it means to be Filipino, but somehow I’ve only become more American.” This is a phenomenon that many Filipino-Americans have come to experience upon returning home. The opening essays serve as an entry to the many narratives of Talusan’s life. Talusan’s father, Totoy, came to America in 1974, two years after President Marcos declared martial law in the Philippines. He had hopes of returning home as an American-trained eye surgeon. Soon after his arrival, Talusan, her mother, and her older sister joined him in Boston. They settled into their lives and the family added three more—all natural-born U.S. citizens. “And before we knew it,” Talusan writes, “one year had turned into five, and, in a blink, 17 years passed without us ever returning home.” What she didn’t realize—until a trip to visit relatives in Canada provoked anxiety in her father—was that her father never filed any paperwork or pursued his employer’s promise of visa sponsorship, and as a result, her parents, her older sister, and she were classified as undocumented immigrants. While Talusan eventually became a naturalized citizen, those years were filled with fear over being discovered and deported, which added to her alienation. Talusan grew up in the Boston suburbs with few Asian Americans around. She sought what many Filipino immigrants desired: a rejection of one’s culture, from food to language, in order to completely assimilate, which, of course, is never allowed. Talusan battled the stereotypes of Filipinos that made their way into America and the ignorance of her classmates and even, though not surprising for the time, her teachers. That sense of big-heartedness permeates The Body Papers. And it is through the gift of prose that Talusan embraces such generosity. When she was a child, her grandmother, Mama Lola, told her that she was becoming just like her nephew, Alfrredo Navarro Salanga, a journalist, poet, fiction writer, playwright, and critic. Talusan took this as a compliment of the highest order. Mama Lola gave her Tito Freddie’s book, which was the first she had ever read by a Filipino writer. Talusan looked up to her Tito Freddie, and indeed, followed his footsteps. Talusan writes, “Tito Freddie died before we could meet in person, but his conviction taught me that a writer sets words down, one after the other, which offer new, expansive possibilities.” Like the baby steps she had initially taken to free herself from the years of trauma, Talusan began to write, one word after the other. While she has given herself a life of new expansive possibilities, so, too, has she given us a book of hope. Patty Enrado's debut historical novel, A Village in the Fields, was shortlisted for the Seventh William Saroyan International Prize for Writing, Fiction, 2016. She lives in the San Francisco Bay Area.